Developers working in automotive, aerospace, medical, industrial, and other fields rely on time-critical systems to ensure that when the system starts, their products do too. Lagging or non-functioning software can lead to failure. In autonomous automotive applications, open source Xen Project hypervisors like that included in DornerWorks Virtuosity distribution provide software security, enabling disparate processes to run uninterrupted by one another. The ability to partition hardware resources in a virtual environment has made the open source Xen Project hypervisor a cost-effective solution for these types of products. 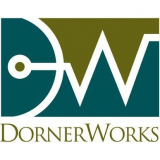 Case in point, DornerWorks Virtuosity, a Xen Project distribution targeting the Xilinx Zynq UltraScale+ processor family, is currently providing virtualization and software security in products developed to meet ARINC 653 and FACETM standards for avionics systems, and AS9100:D and ISO 9001:2015 for automotive. Xen Project released an updated Xen Hypervisor 4.12 on April 2, 2019, and with it, improvements that will make embedded technologies more efficient and capable than ever. This latest release adds impressive feature improvements around security and code size, x86 architectural renewal, and more. The leaner architecture in Xen 4.12 reduces the lines of code, reducing the potential for security vulnerabilities, making Xen an attractive option for use in mixed-criticality systems. Additionally, it reduces exposure to unknown security threats by improving de-privileged QEMU through defense-in-depth techniques, and improving virtual machine introspection. A hypervisor can reduce SWaP and costs in aircraft by consolidating hardware architectures. Running on a single control board, virtual machines can handle the work of what previously required multiple systems. Xen 4.12 will be more configurable, significantly reducing integration costs for business and organizations that customize Xen heavily. Additionally, Xen 4.12 continues to build upon previous versions regarding cleaner architecture, improved user experience, and future proofing. The Xen 4.12 release builds on the features last implemented in July 2018, targeting greater safety and stability for security-focused environments. HVM/PVH and PV only Hypervisor: The new Xen Project 4.12 release enables Xen based security products to build components with vastly reduced memory footprints and smaller attack surface more easily. It also enables cloud and hosting providers which improve security. QEMU Deprivilege (DM_RESTRICT): QEMU restrictions and features providing greater VM security have been implemented. Support for VM migration has also been added, along with defense-in-depth techniques used to protect against privilege escalations from QEMU to Xen and VM’s. Argo – Hypervisor-Mediated data eXchange: Argo is a new inter-domain communication mechanism that is designed for security, safety and mixed-criticality systems with isolation properties that go beyond those of existing inter-domain communication mechanisms. It provides Xen hypervisor primitives to transmit data between VMs, by performing data copies into receive memory rings registered by domains without requiring memory sharing between VMs, grant tables, or Xenstore. Xen Virtual Machine Introspection (VMI): The VMI component provides zero-day vulnerability detection capability, allowing for live introspection of virtual machine memory from outside a VM. Altp2m and Intel #VE/VMFUNC support within the subsystem have also been tuned and hardened. These two technologies reduce the performance overhead of Virtual Machine Introspection by 5 percent to 20 percent, depending on workload, and make it possible for the VMI to detect common attack techniques like buffer overflows and code injection without knowing the signature. The new Xen 4.12 features renew how x86 architecture support is implemented in Xen. Credit 2 Scheduler: Now the Xen Project default scheduler, the Credit2 scheduler is designed specifically for performance of latency-sensitive workloads, as well as scalability and predictability. PVH Support: Grub2 boot support has been added to Xen and Grub2, enabling users to boot any PVH guest kernel via the grub menu, with greater stability. PVH Dom0: PVH Dom0 support, exclusive to Intel Hardware, resolves various bugs and provides the new dom0-iommu=map-reserved option which can be used to work around broken firmware when using a PVH Dom0. Support for migrating domUs from a PVH dom0 has also been included. The Xen Project is working to make Xen more easily safety certifiable targeting embedded and automotive use-cases. These new upgrades will increase the viability of Xen for use in mixed-criticality systems. Dom0less VMs for statically partitioned systems: The new Xen 4.12 upgrade makes it possible to create and boot Arm VMs from Device Tree immediately after starting Xen. In traditional Xen environments, VMs can only be started after Dom0 kernel, user space and the toolstack are up and running. The upgrade decreases boot time by more than 90 percent. Dom0less VMs extend the usage of Xen to statically partitioned mixed-criticality systems. Xen is planning on extending the concept of Dom0less in subsequent releases to allow building Xen Systems entirely without a Dom0. This, in turn, will reduce the cost of safety certification significantly. Tiny Arm Configurations: The Xen 4.12 upgrade allows users to build a tiny Arm configuration with less than 50 KSLOC, which in turn reduces the cost of safety certification for Xen based systems. This new functionality allows building Xen variants for specific hardware such as Xilinx Zynq Ultrascale+ MPSoC with a minimal set of drivers and features that are needed for mixed-criticality systems. The new Xen 4.12 upgrade also includes improved IOMMU mapping code, which is designed to significantly improve the startup times of AMD EPYC based systems. The upgrade also features Automatic Dom0 Sizing which allows the setting of Dom0 memory size as a percentage of host memory (e.g. 10 percent) or with an offset (e.g. 1G+10 percent). You can start building products with the improved capabilities of the Xen Project hypervisor with a Xen Quick Start Package (QSP) from DornerWorks. Contact us today to get the QSP. We will discuss your product goals, and develop a roadmap to grow your business with virtualized software systems.